The new Sony CyberShot QX10 camera/lens is a very interesting innovation in the camera market and it will be the start of a new form of photography, where the line between smart phones and digital cameras gets smaller. The Sony CyberShot QX10 is the choice you make that gives you the most versatile choice between the Sony CyberShot QX10 and the Sony CyberShot QX100 as it has a better zoom range. The Sony CyberShot QX100 is the choice if image quality is your top priority when you want one of these products. If you want a lot of control when you take pictures you should go for the Sony CyberShot QX100 as it has manual focus options and other nice features for advance photographers. I see the Sony CyberShot QX10 as the long term winner. It is much more compact than its rival compact cameras and a lot easier to share on the Internet. Only question is if it is two hard to use for very novice users, that are the typical compact camera users. So will this be a success? It is based on the same technology as the Sony CyberShot WX150 and it is $150 cheaper, which is close to 50% cheaper. So if you are going for a compact camera and are considering the Sony CyberShot WX150 then why not save the $150. There are some features that you wouldn't get in the Sony CyberShot QX10, but these features are not something that the average compact user is going to miss, but lets look at them in more details. You will have less light metering options in the Sony CyberShot QX10, but for most of the potential users this really don't make a difference as they don't know that the compact camera has these options. Many of the software options that is in the Compact Camera like the scene selection, options and so on is very limited so far in the Sony CyberShot QX10, but again this might change over time. There isn't any flash to the Sony CyberShot QX10 which might be one of the major issues with this kind of camera. How are you going to take pictures at night with this camera? Maybe the smart phones flash can be used, but this isn't a good option. And there are not burst mode so far, so using this for fast action photography like a sports event isn't going to happen so far, but again this might change as software on the smart phone gets better. This announcement raises a lot of questions about what Sony (and other camera companies) at going to do in the future. Will they allow third party camera apps like "Camera Zoom FX" to access the Sony CyberShot QX10? How will they decide which Compact Cameras that comes as a CyberShot edition? Will they launch a E-mount (or other mount) adapter with sensor, so you can add your own lens of choice and use the smart phone to control it? How will the other camera companies react to this invention from Sony? Is this the death of the Compact Camera market? Will Sony launch a small controller device just like they have smart watches? Sony is in a very unique market situation. It is almost the only company that have a large market share in both the camera market and the smart phone market. The only other company that I can think of is Samsung, but they isn't that big in the camera market. So the other camera will have a hard up hill fight to catch Sony. So you are are a potential compact user looking for a camera that can do more than your smart phone, then I would seriously, seriously consider the new Sony CyberShot QX10 camera/lens. If you are (like me) looking for a more mobile choice than your SLR camera gear and are not truly happy with the image quality and features from you smart phone then this could really be an option, but I would like to see it work in real life. Let some other people try it out for a period of time. This is for some part a first version product and there are bound to be some initial issues. I will (and recommend) to do the wait game. Wait and see what kind of experiences that other users are having. 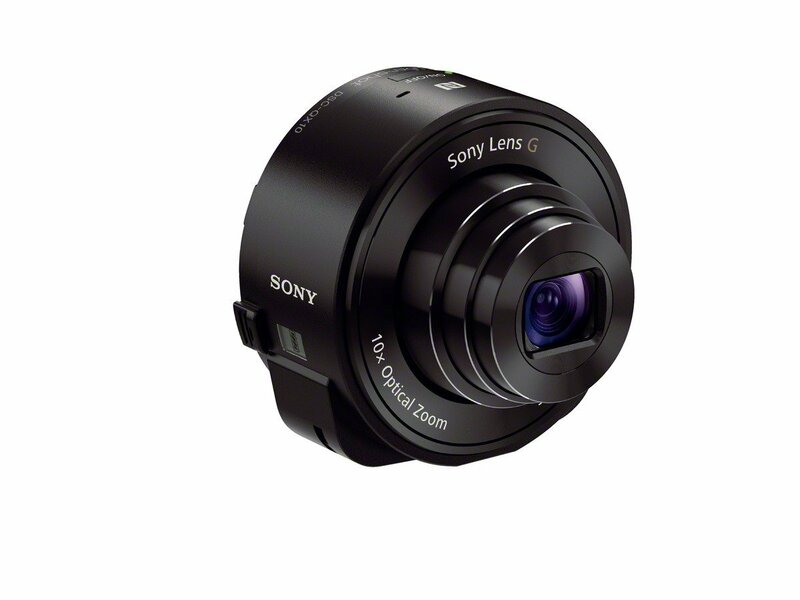 Follow the Sony CyberShot QX10 at Sony Index.